Crock Pot Ham and Cabbage (Low Carb) - Recipes That Crock! Are you looking for an easy low carb family dinner? 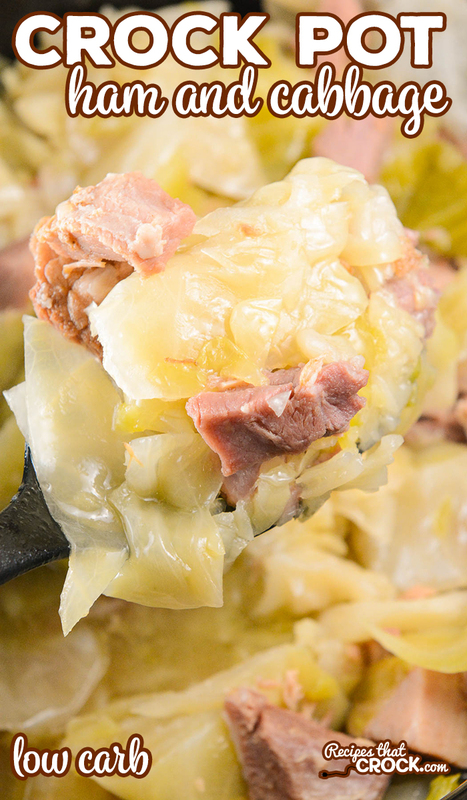 We love this Crock Pot Ham and Cabbage. It is so easy to throw together and a perfect leftover ham recipe. We love left over ham recipes around here. And we do love us some cabbage ;). 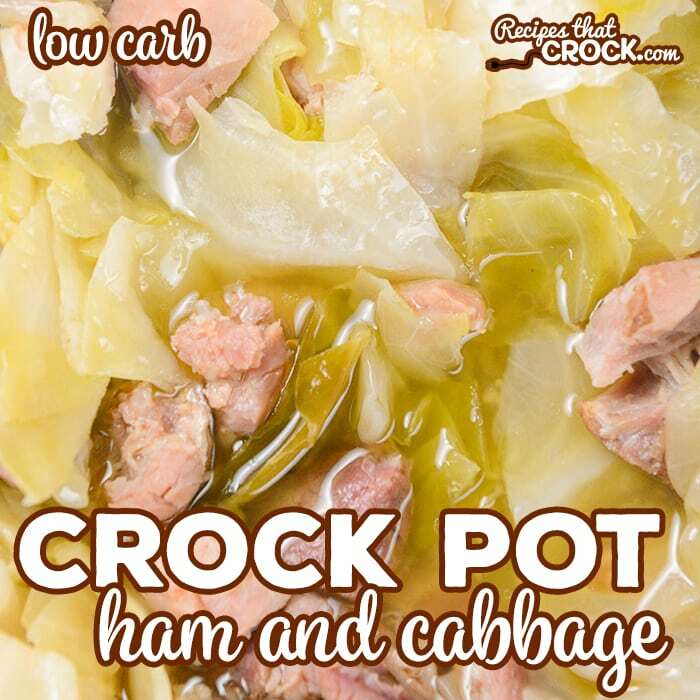 So when I was thinking of a great low carb recipe I could throw into my slow cooker I decided to convert our Crock Pot Pork Chops and Cabbage recipe to a leftover ham recipe. The result was fantastic and this has quickly become one of my favorite was to use up extra ham left over when we use one of our whole ham recipes. 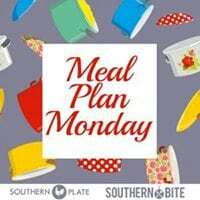 We have made this dish many times using the left over ham from our Low Carb Crock Pot Ham and our Low Carb Instant Pot Ham. If you are looking for more low carb recipes, click here. This dish would do well in any traditional 6 quart slow cooker or even the casserole crock. If you are not eating low carb and would like to add potatoes, feel free. Depending on how small you chop your potatoes, they may increase cooking time. Place cabbage in the bottom of a 6 quart slow cooker. Pour broth over top and season with salt and pepper to taste. Cook on low for 5-6 hours or until cabbage is tender. Cris, this looks delicious to me!! 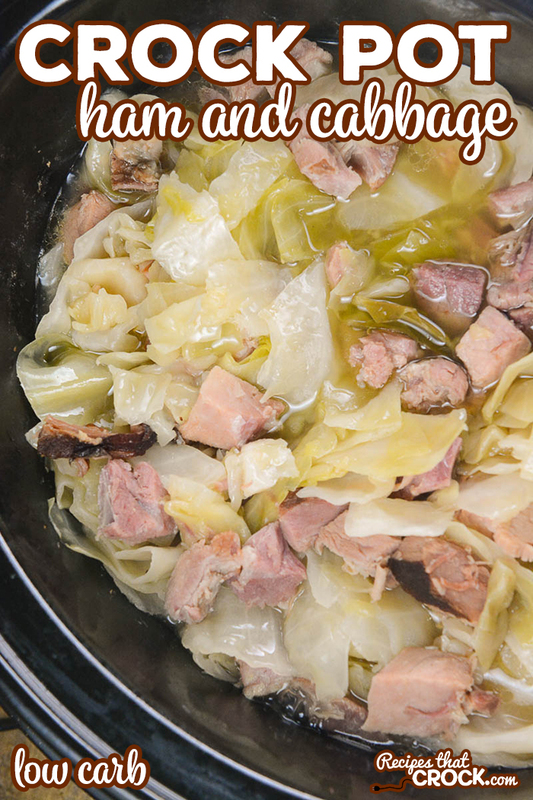 Cabbage has always been a favorite side dish of mine and adding the ham has to bring it up a notch. I usually cook cabbage with bacon fat…I like the butter idea! Pinning this to try!! As always…love you! !